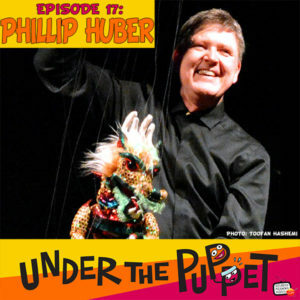 http://www.UnderThePuppet.com – Phillip Huber is internationally known as an “artist with marionettes.” He has performed in venues and on cruise ships all over the world and is critically acclaimed for his work in films such as Being John Malkovich and Oz the Great and Powerful. Phillip is no stranger to hand puppets either having worked with The Muppets. We talk about all this and more in this extended interview. After the interview, I point those eager to learn more about marionettes to The Complete Book of Marionettes.